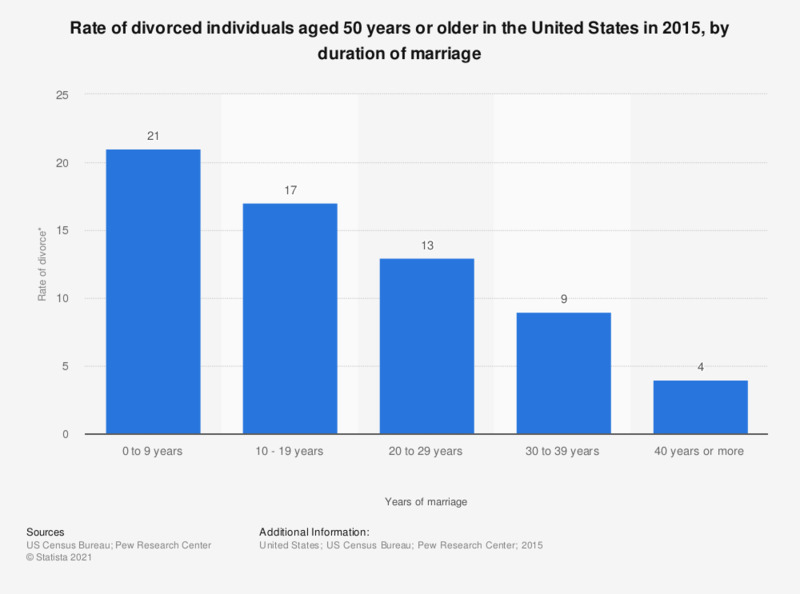 This statistic shows the rate of divorce among individuals aged 50 years or more in the United States in 2015, by duration of marriage. In 2015, there were 21 divorced individuals aged 50 years or more who were married between zero and nine years for every 1,000 married individuals. * Rate of divorce is calculated as the number of divorced persons per 1,000 married persons from the prior year's survey.